Avast has released its 2014 line of products a few days back and now the latest offline installers are available for download. The latest version of Avast Free Antivirus 2014 includes support for Windows 8.1. Avast Free Antivirus 2014 is one of the most popular free antivirus along with AVG Free 2014 and Avira Antivir Free 2014. The latest version of Avast includes the new DeepScreen technology which makes enables Avast to make intelligent decisions about new/unknown files. DeepScreen is a replacement for AutoSandbox and will work a lot better. Avast Free antivirus 2014 includes a new mode “Hardened Mode” which will be helpful in locking down the system completely in case of any virus attack of a hacking attempt. This mode is also suitable for novice who don’t know what they are doing on the system. It will block even those executables which are passed by DeepScreen. The direct download links for all Avast products can be found at the end of this article. 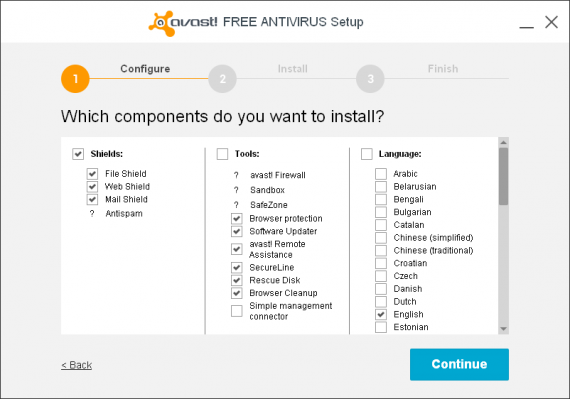 The installer of Avast Antivirus Free 2014 is quite simple. There are two modes of installation: Regular and Custom. You should always choose the custom installation because this mode will let you know what components are being installed. You may be able to install the antivirus shields like File Shield, Web Shield, Mail Shield and tools like Browser protection, software updater, remote assistance, secureLine, rescue disk, browser cleanup, gadgets etc. You will also be able to select the languages in which you want to install Avast. The antispam, firewall, sandbox, SafeZone and SecureLine are premium features that will not be installed in Avast Free edition. 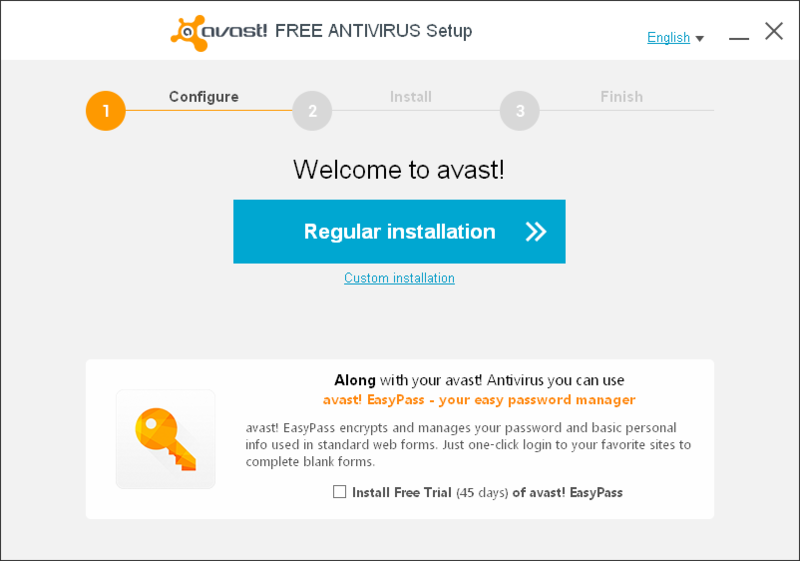 After installation, you will need to register your Avast product. This needs to be done even if you are using the free edition of Avast. Otherwise it will expire in 30 days. Registration is free and will create a new account on Avast website. Here are some of the features and improvements in Avast 2014. After this, we will head to the offline installer links. Here are the direct download links to Avast 2014 offline installers which can be installed standalone without an Internet connection but it is always recommended to update your security product regularly. The latest version update of Avast products is 2014.9.0.2008. Technically speaking, This is Avast version 9 while the 2013 edition was version 8.
how to update windows defender in windows 8,and where can i found software dvd’s shop in banglore and what is the cost of kaspersky antivirus software. It cannot work in windows 7? It should work in Windows 7.
can i install it on win 8? Yes all products of Avast 2014 work with Windows 8.
where did I not display the version? You can do it from the main interface of Avast Internet Security 2014. How to activate avast premiere for free pls send me a mail. If I find a free giveaway of Avast, I’ll definitely post about it. Just stay tuned and keep visiting regularly. If you’re talking about the giveaway links, yes they are unavailable because the giveaway has expired. Now I’m trying to find a one year license of Avast 2015. Hopefully will write about it very soon. Buy by email and paste the code in program.